Restorative dentistry is a dental speciality which involves other dental specialisms such as prosthodontics and endodontics to restore maximum oral function. This includes treating disease of the teeth, gums, jawbone and supporting ligaments and tissues. The restorative dentist acts in a rehabilitative role in that he/she aims to restore the functional, aesthetic and psychological aspects of your teeth and mouth to their maximum capabilities. This acts as a confidence booster, improving your self-esteem and overall quality of life. To do so requires a high level of skill, experience and understanding of the complexities of each case and potential problems. This is not a single effort: instead it requires a combined approach of other equally experienced and eminent dental professionals who work together to achieve the best outcome for their patients. Restorative dentistry provides an integrated approach to a wide range of dental conditions which include worn down teeth, bad bite, gum disease and missing teeth. 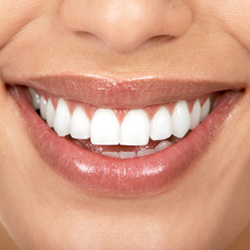 It uses a variety of techniques to restore your teeth and gums to good health and function, and in many cases, an attractive smile as well.